Hailing from the accent-free city of Erie, Pennsylvania, Gillian got involved in community and regional theatre early in her teens, and never looked back. She studied Musical Theatre at Point Park College in Pittsburgh, with a focus on Classical Voice. She’s a mezzo soprano, with training in Italian, French, and a bit of German. After college, her path took her to a position in Marketing with IBM, where she wrote and produced promotional product videos. On a whim one day, an audio engineer asked her to narrate one of these videos, and a new career was born. Her acting background enables her to deliver real, conversational, and engaging performances across a variety of voice and media applications. Gillian is highly directable, with a great ear for pacing and comedic timing. She excels at corporate and educational narration, and is proud to include Microsoft Corporation, The University of Notre Dame, Norwegian Cruise Lines, National Grid, and First Citizens Bank as some of her clients. Gillian discovered audiobooks in 2012, and has greatly enjoyed using her storytelling skills in this genre. 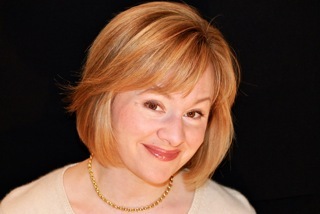 From true-crime stories like “A Descent Into Hell” by Kathryn Casey, to women’s fiction titles like “Carpe diEmily” by Riley J. Ford, to educational and self-improvement titles, such as “Jump-Starting Boys” by Pam Withers and Cynthia Gill, Gillian’s voice has lent itself well to a variety of styles. She lives in the Washington, DC area with her husband, two children, and a German Shepherd named Uta who is afraid of squirrels. Michael Carlucci, the hot, young musical genius behind the successful rock band, NinetySeven, knows that in Diane Matthews, he’s found his perfect woman. For Diane, it’s not so simple… she’s nearly 20 years older. Can they make it work?